I have a big collection of brushes, but I have been looking for a new eye brush set and an angled brush for my eyebrows. 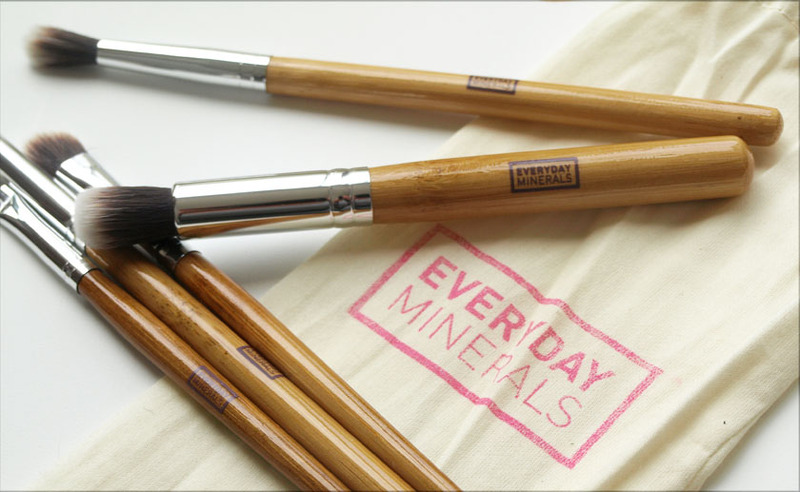 That's why I jumped on the chance of reviewing Everyday Minerals brushes. I have never heard about the brand, but I am very impressed with the quality of their tools. They offer a big selection if single brushes, sets and mineral makeup at affordable prices. The Large Eye Brush Set comes in a simple drawstring bag, making it perfect for travelling and keeping your eye brushes in one place. 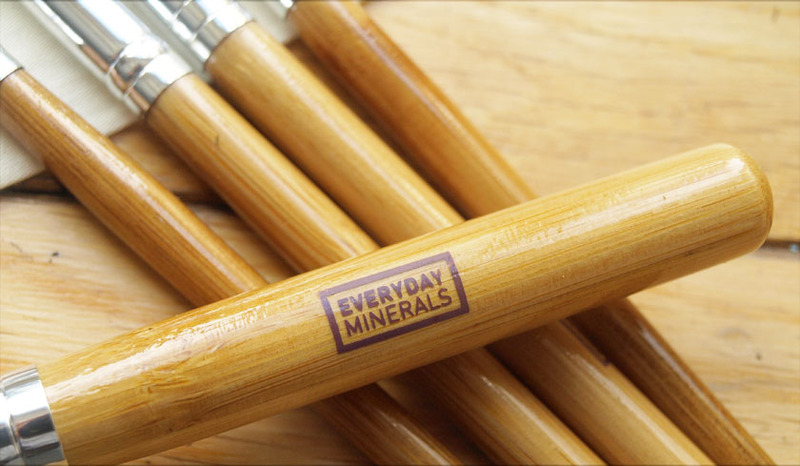 It includes five brushes, made with very soft synthetics bristles and beautiful bamboo handles with the brand's logo. The quality of them is really good and I can see them lasting for years. They are designed especially for mineral makeup application, but I use the with my normal eyeshadows and other products as well. The set includes: an Eye Blending Brush, Dome Blending Eye Brush, Eye Kabuki Brush, Everyday Eye Smudge Brush and an Angled Brow and Liner Brush. I will include more details about them, under the photos below. It is a perfect brush for applying brow powder/colour and it is very easy to control. It is also a great tool for applying eye liners. This brush is designed for blending eyeshadows. It is perfect for creating flawless smokey eye looks and blending out the crease colour. I also like using it for applying powder highlighters. I love using this brush for blending out the eyeshadow precisely, because it gives more control than the regular blending brush. I like having more than one blending brush, because I always use a clean one for each makeup look. This one is perfect for applying and blending the crease colour. I adore this brush! I use it to apply they lid colour and on days when I only use one eyeshadow. It picks up a perfect amount of colour and you can use it for bending as well. 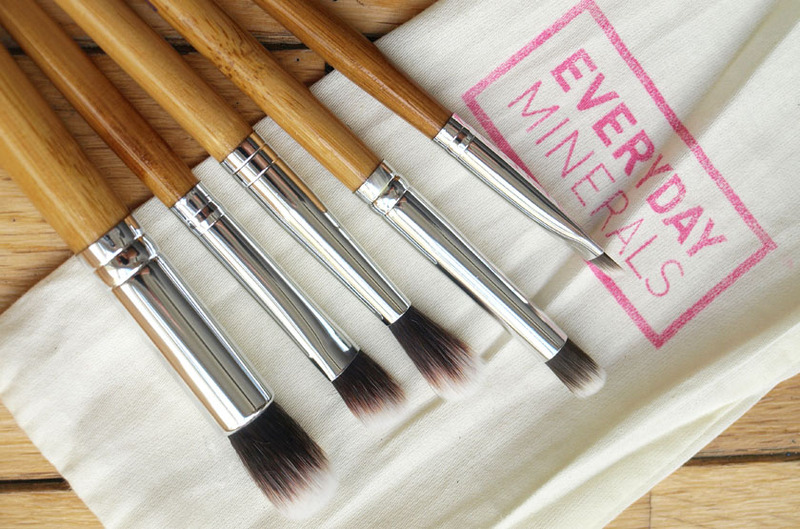 Overall, the Everyday Minerals Brush set is everything I expected and more. 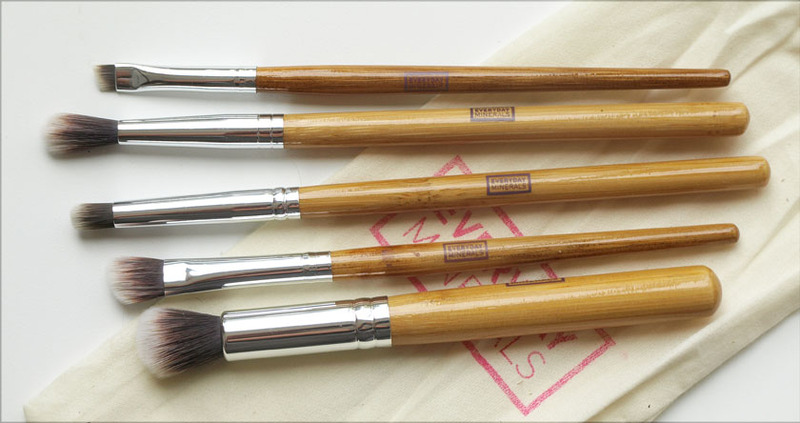 The brushes are well made and very versatile. 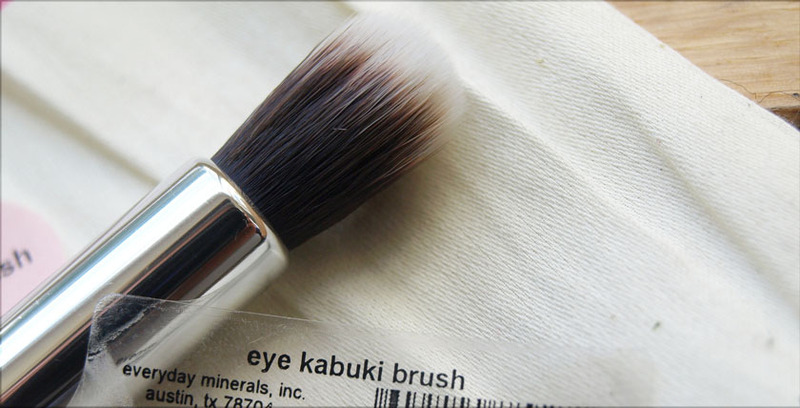 My favourite two from the set are: the angled brush and the eye kabuki. 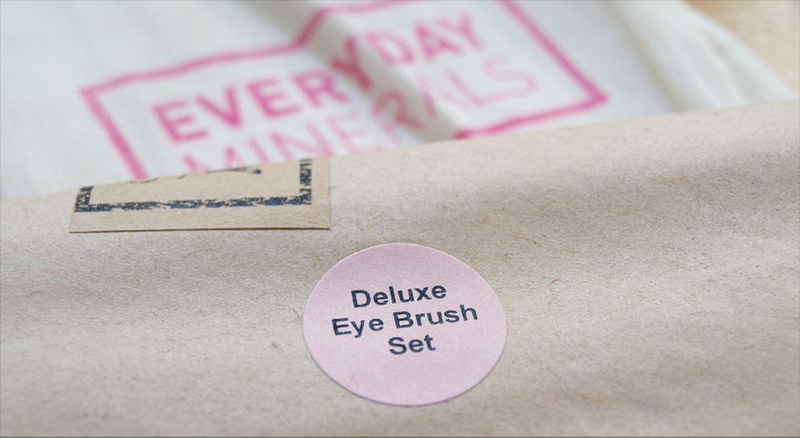 Everyday Minerals are a cruelty free brand and all their products are vegan.